This was the view @ 3:30pm today, and it was freezing. I knew it would be, my other half had announced that he’d be putting the heating back on constant for the next few days. (His bat sense must have been tingling, or he’d had a look at a weather forecast.) 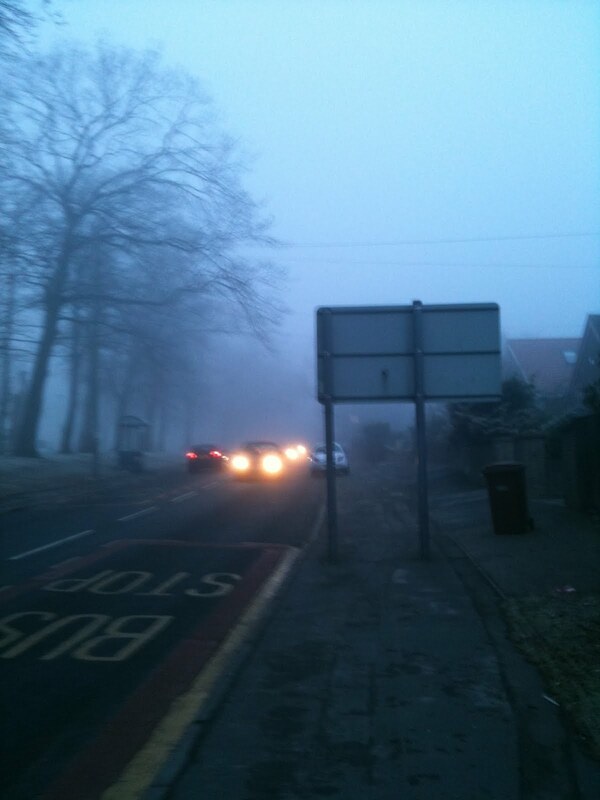 This sort of weather does not bode well for Janathon. I hate the cold as it is, I seem to have cold blood & am possibly related to a reptile… (Long live the 5th Column?) I shouldn’t be running in the winter, I should wrapped up in the warm with coffee & cake, watching bad sci – fi & knitting cozy socks. But I wrapped my daughter up & put the baby in his snow suit and headed out for a walk, as being cooped up in the house all day means she literally jumps off the walls/couch/stairs/bed/me/baby. 3.5 miles later she was miffed, but knackered. (is that mean?) We did make a brief detour into a supermarket, where I was pleased/disappointed that my daughter choose strawberries as a treat instead of chocolate. 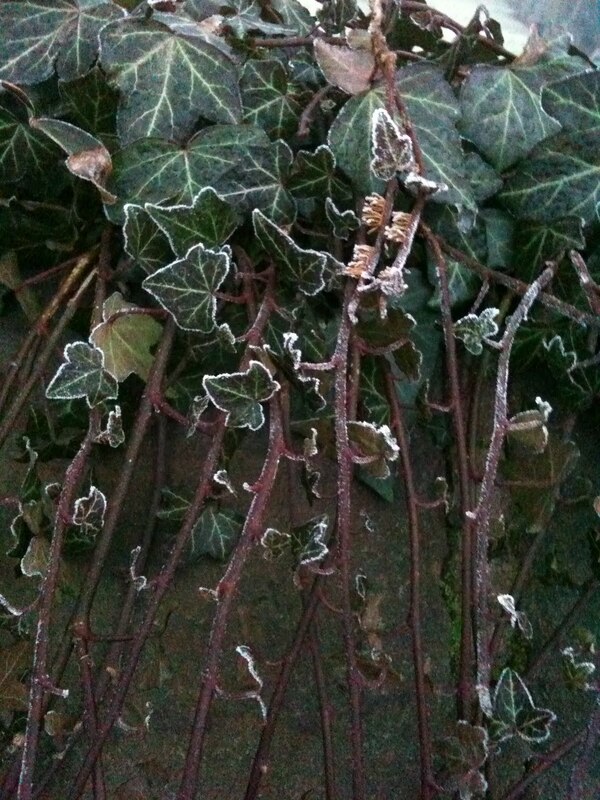 We also stopped to take a frosty picture of Ivy leaves. She wasn’t impressed by this either, and demanded that we hurry up. The baby just slept for 90 minutes. And lost a glove. So with 7pm looming and the knowledge that I hadn’t actually RAN for this Janathon effort, I suited up for the cold. 560m around the block, in 5:54, slowing down as the foot path was slippy in places!